No matter how many languages we speak, many of us are the most comfortable with the one we grew up using. It should come as no surprise, therefore, that according to a report on buying preferences from Common Sense Advisory, 75 percent of people prefer to purchase products online from sites written in their native language. Now Spanish-speaking customers in Thurston County have that option when it comes to insurance. 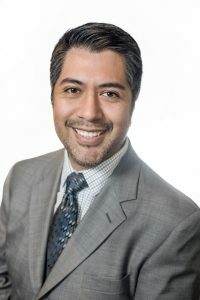 Since Frank Murillo joined Ronelle Funk’s new Tumwater office, the bi-lingual Licensed Protection Specialist has been offering insurance services in both English and Spanish to meet a growing need within the community. Murillo started out with an insurance brokerage in California in 2004 before relocating to Washington in 2006. In the course of working with clients throughout the Puget Sound region, he continually crossed paths with Funk and when an opportunity arose to work with her, he took it. The move also gave him a chance to work with Thurston County’s growing Hispanic community after providing similar services in Tacoma and Federal Way. Currently the county is 8 percent Hispanic, up from just 4 percent in 2010. In Washington State overall, Spanish is spoken at home in 8.4 percent of households, second only to English. To get the word out, he visits local Mexican or Latino stores and restaurants and speaks to the owners. Usually, the response is quite positive. “People are very grateful when I let them know that this is available,” he says. When Spanish-speaking clients visit his office, often they want to purchase the most basic insurance required by the state, but he’s able to explain why a small amount of added coverage can make a big difference. For example, if they’re insured but a driver who hits them is not, a bit of extra insurance can save them from being stuck with the bill in the event of an accident. He remembers the first Spanish-speaking client, a man who came in looking for auto insurance but then mentioned that he was also closing on a home. “We were able to take care of that for him as well,” says Murillo. “He gave me information for his mortgage lender, we sent the proof of insurance and he got insured for his home.” Such clients are a diverse bunch, including single people and families spanning generations. 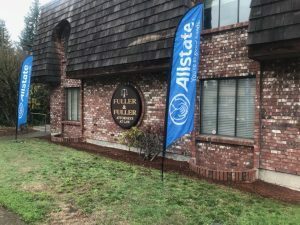 Murillo started in the Tumwater office in January 2019 after spending several months at Funk’s Yelm and Lacey offices. He knows insurance well but had to be trained on Allstate’s products. He’s noticed one key difference in working with Funk compared to his previous jobs: community involvement. “It’s been a huge highlight,” he says. “Ronelle Funk’s agency is very hands-on and connected to the community. We didn’t have that capability with my previous employer.” All three branches host customer appreciation nights, like a free new release movie, and Funk gives the staff 40 hours of paid leave per year to actively give back to the cities in which they operate. When he’s not in the office, Murillo enjoys spending time with his family, especially his wife and three-year-old son. “He’s at the age where he wants to venture out and get into everything,” he laughs. “He loves museums.” The couple also has extended family throughout the region. 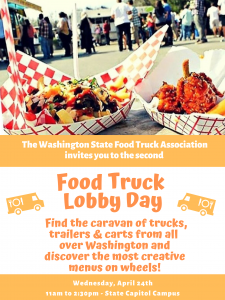 With the Tumwater office now up and running and Murillo on board, Funk’s agency can expand its reach to more clients. He hopes that word will spread. “We want the Latino community to know that we’re here for them,” he says. 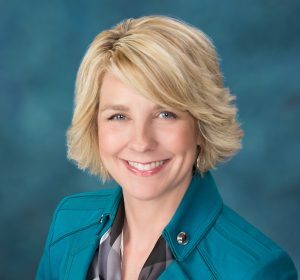 Learn more about the new Tumwater office by visiting Ronelle Funk’s website or calling 360-339-5424 (Tumwater), 360-491-3376 (Lacey) or 360-458-6061 (Yelm) or find her on Facebook. Her agencies were voted #1 for insurance in the Best of South Sound 2018.